The key to staying healthy is staying hydrated, but it's not always easy to make sure you're drinking enough water. 1. Use a water bottle with artwork and/or phrases that you find personally inspiring. If you bond with your water bottle you will be less likely to forget it. 2.Use a water bottle with a built-in straw so that you can sip, rather than gulp, your water. 3. Stash extra water bottles in places where you are often, such as a desk drawer at the office or under your car seat. 4. Switch your daily vitamins from pill form to powdered form so that you can mix the powder into a water bottle (check in with your doctor first, of course). Two birds, one stone. 5. Drink a glass of water with every glass of alcohol you intake. This also serves as a good way to keep hangovers at bay. 6. 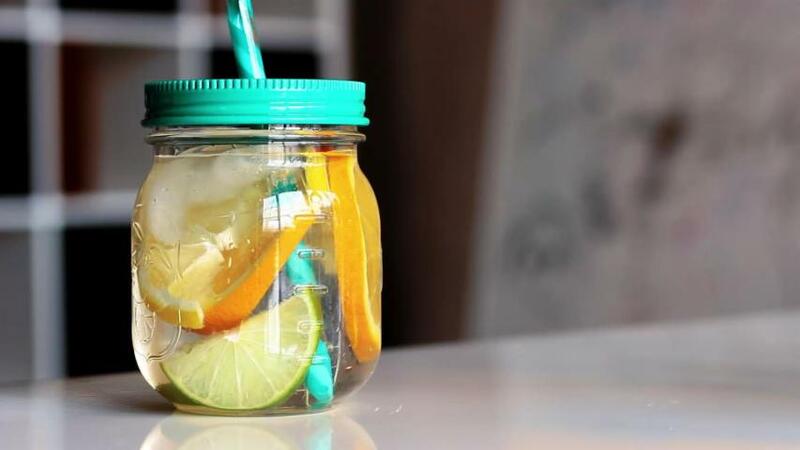 Infuse your water with your favorite fruit, to add flavor. You can even make your fruit-flavored water a reward after a good work-out. Now that's super healthy! Remember, the average human body is approximately 60% water, so it's pretty important!